Building a WordPress site can be a bit confusing. There’s a ton of new terminology and things probably feel a lot different than that other website builder you were using. That’s how I felt when I started learning WordPress anyway. Part of me thought I’d never get it down. But, here I am today, teaching people like you how to get the most out of their investment! 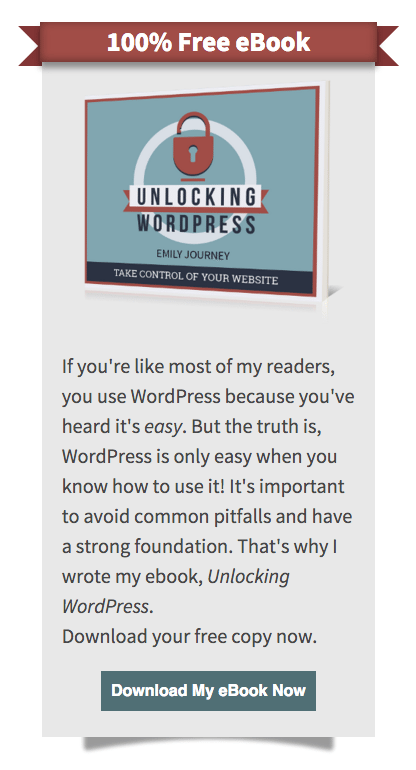 In today’s article, I’m talking about the main WordPress components, where they’re generally located and how you can use them for your business. Let’s go! 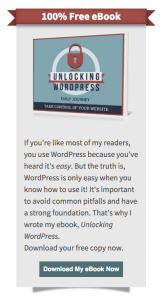 The WordPress header is located at the top of your website. It’ll most likely contain your logo and is one of the first things visitors see when they look at your page. 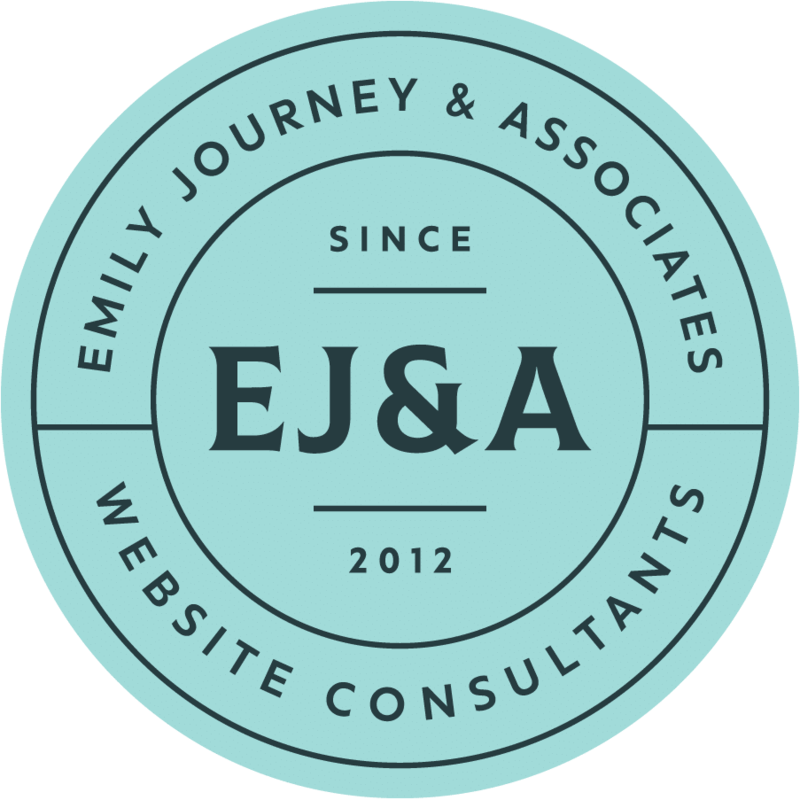 You can see on my website, I use my header as a space for both my logo, social media icons and main navigation (which is a section we’ll get to in a minute). Depending on your theme, you may be able to edit each of these things from within your Theme or Appearance options. Otherwise, you’ll need to make alterations directly in the stylesheet. Visitors can meander through your site in several ways, assuming you have a good internal linking structure. But the most direct path is the main navigation. It’s here that you will highlight the most important pages on your website. At the top level, it typically includes Home, About, Services and Contact pages. But you can also use sub-navigation. Here’s what that looks like on my site. The main navigation should offer a logical path for visitors to walk through your site. Lead them with important pages at the top level with supporting pages as sub-navigation. Sliders are great when you have multiple announcements or call-to-actions that visitors need to see. Visitors can manually scroll through the slides, or your can set them to rotate automatically. You’ll notice that I’m not using a slider, per se. But this area on my site with the image is where a slider would typically go. Again, it’s your call on how to use this. For me, I like how it displays my unique selling proposition every time someone comes to the site. I like to think about footer areas as our own feet – they’re incredibly useful but highly underappreciated. When was the last time you truly appreciated all the things your feet help you to do? Probably never. And it’s the same way with our footer. Much like the header, a good footer will also include important information. But this info isn’t necessarily the lifeblood of your website navigation. As you can see, I’ve got a pretty basic footer, but it includes some information you won’t find directly available in the heading (i.e. Terms & Conditions, Guest Posts and my phone number). Depending on your theme, widgets can appear just about anywhere on your website. However, the most common area is on your website sidebar. For me, that was my eBooks and testimonials. It could be something entirely different for you! Blogging is a powerful marketing tool when executed well. And when you create a new blog, you’ll add it as a new post. It’s really as simple as that. With blogs, posts are the main focus of content. Sure, it’ll be surrounded by the header, footer and widget areas. But what people will really be paying attention to is the posts that you’re publishing on a regular basis. Pages are a bit different than posts and can feel confusing for some. The main difference lies in their functionality. Essentially, a post goes into your blog feed, whereas a page is a standalone portion of your website. What you’re reading now is a post. However, if you went over to About Emily you’d be looking at a page. As a business owner, you’ll use pages to setup the structure of your website. Home, About, Services and Contact should all be pages. However, once you start marketing and want to update your blog, then you’ll be creating posts. Now that you know the 7 basic component of your website, it’s time to dig a bit deeper. 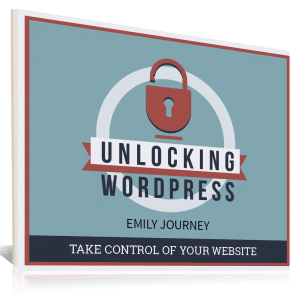 Find my eBook promo in the widget area and download Unlocking WordPress. 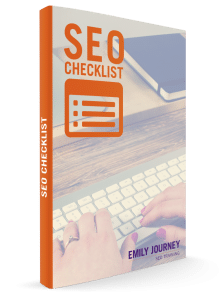 I’m pretty proud of this guide and believe it will be of immense value to you and your business.